This is a highly secure industrial facility with experienced warehousing staff that can either deal with long term storage or rapid turnover deliveries. The 180,000 square foot building is spread over 3 floors and includes multiple access points and internal freight lifts as well as biomass heated storage space. With a team experienced in obtaining Hazardous Consent permission and a building that includes a robust sprinkler system as well as the latest fire safety systems, you can be sure that your goods will be well looked after. 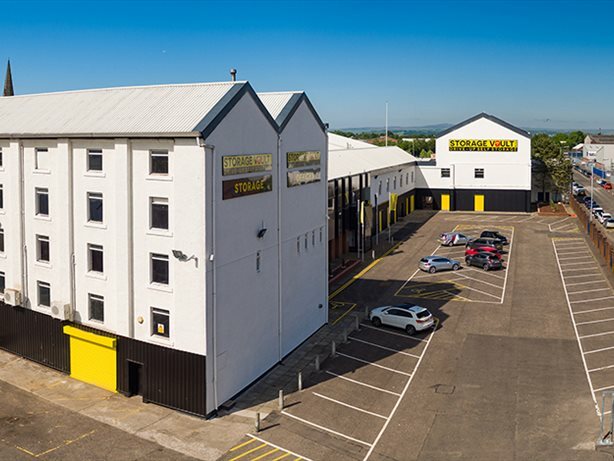 Located within three minutes of Glasgow Airport, this newly refurbished warehouse is the ideally situated as a distribution centre, based close to Junction 28 & 29 of the M8. It offers easy access to the main transport link between Glasgow and Edinburgh while also being less than a mile from 3 A roads heading East towards Glasgow City Centre, South towards East Kilbride or West towards Ayrshire.